Below you fill find all funeral homes and cemeteries in or near Braddock. 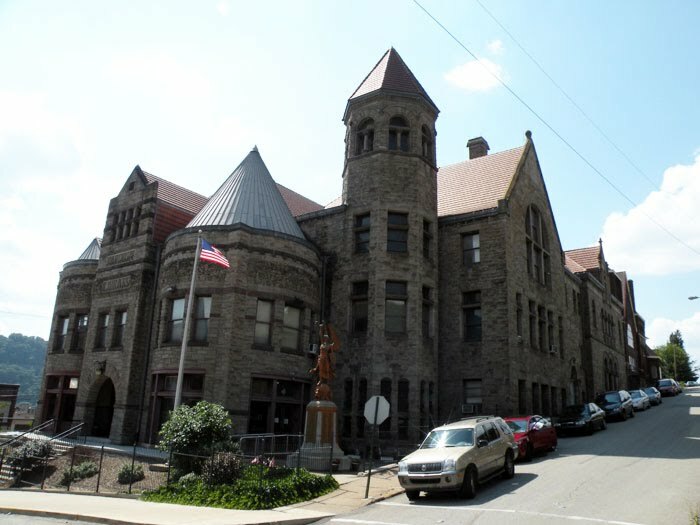 Braddock is also known as: Allegheny County / Braddock borough. Some of the notable people born here have been: Lauren Tewes (actor), Billy Knight (basketball player), John Clayton (writer and journalist), Terrence Johnson (american football player), and Rontez Miles (american football player). 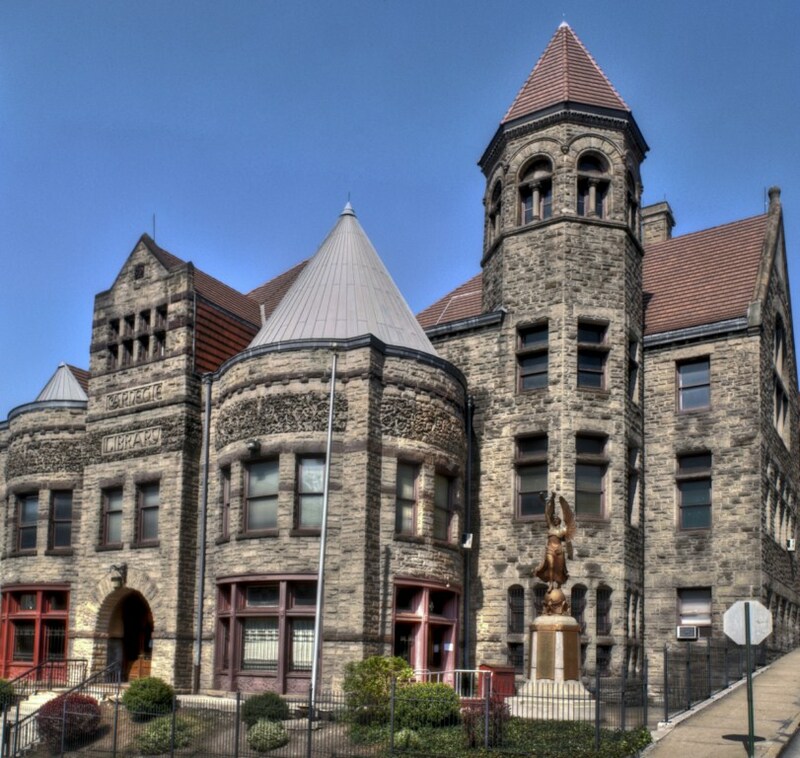 Braddock is a borough located in the eastern suburbs of Pittsburgh in Allegheny County, Pennsylvania, 10 miles (16 km) upstream from the mouth of the Monongahela River. The population was 2,159 at the 2010 census. The borough is represented by the Pennsylvania State Senate's 45th district, the Pennsylvania House of Representative's 34th district, and Pennsylvania's 14th congressional district in the United States House of Representatives. It was reported on August 18th, 2018 that Charles William "Chuc" Reabe passed on in New Port Richey, Florida. Reabe was 95 years old and was born in Braddock, PA. Send flowers to share your condolences and honor Charles William "Chuc"'s life. It was noted by Star Beacon on May 15th, 2018 that Edward J Father Hensler died in Waterford, Ohio. Hensler was 66 years old and was born in Braddock, PA. Send flowers to express your sympathy and honor Edward J Father's life. It was written by Sarasota Herald-Tribune on March 29th, 2018 that Josephine "Jo" Monda (Marcone) passed on in Sarasota, Florida. Ms. Monda was 94 years old and was born in Braddock, PA. Send flowers to express your sympathy and honor Josephine "Jo"'s life. It was disclosed by Seattle Times (2000-present) on December 10th, 2017 that Joan Elizabeth Salo passed on in Kent, Washington. Send flowers to share your condolences and honor Joan Elizabeth's life. It was reported on September 6th, 2017 that Anne Kalosky (Koscho) perished in Amherst, Ohio. Ms. Kalosky was 100 years old and was born in Braddock, PA. Send flowers to share your condolences and honor Anne's life. It was noted on June 25th, 2017 that Bonnie F Earle (Fisher) perished in Clearwater, Florida. Ms. Earle was 81 years old and was born in Braddock, PA. Send flowers to express your sympathy and honor Bonnie F's life. It was disclosed by Sarasota Herald-Tribune on August 11th, 2016 that Glenn D Jr "Buck" Walters passed on in Sarasota, Florida. Walters was 83 years old and was born in Braddock, PA. Send flowers to express your sympathy and honor Glenn D Jr "Buck"'s life. It was revealed by Stevens Point Journal on May 31st, 2016 that Thomasina E "Tommye" Leafgren (Scalise) perished in Marshfield, Wisconsin. Ms. Leafgren was 75 years old and was born in Braddock, PA. Send flowers to share your condolences and honor Thomasina E "Tommye"'s life. It was noted on May 27th, 2016 that Helen E Kellar (Coulter) perished in Punta Gorda, Florida. Ms. Kellar was 89 years old and was born in Braddock, PA. Send flowers to share your condolences and honor Helen E's life. It was disclosed on May 15th, 2016 that Janet M Blaszczynski (Bugiski) passed on in Chapin, South Carolina. Ms. Blaszczynski was 74 years old and was born in Braddock, PA. Send flowers to express your sympathy and honor Janet M's life. George Washington visited the area in 1753-1754, and was the site of Braddock's Defeat on July 9, 1755. In 1742, John Frazier and his family established the area at the mouth of Turtle Creek (Pennsylvania) Creek as the first permanent settlement west of the Allegheny Mountains . Braddock's first industrial facility, a barrel plant, opened in 1850 , and the borough was incorporated on June 8, 1867 . The borough is represented by the Pennsylvania State Senate's 45th district, the Pennsylvania House of Representatives's 34th district, and Pennsylvania's 14th congressional district in the United States House of Representatives. The area surrounding Braddock's Field was originally inhabited by the Delaware Indians, ruled by Queen Allequippa . He has made a recent appearance on The Colbert Report, FOX news, and the New York Times expressing the needs of Braddock. Born in Braddock, Pa., she had lived in North Brookfield ... and several nieces and nephews. A funeral Mass will be celebrated at 11 a.m. today at Our Lady of the Rosary Church, Spencer. Burial will be in St. Josephs Cemetery, North Brookfield. Listing all funeral homes in Braddock, Pennsylvania so you can easily send flowers to any location (same day delivery) or find any funeral service. Listing all cemeteries in Braddock, Pennsylvania so you can easily send flowers to any location (same day delivery) or find any funeral service. We work with local florists and flower shops to offer same day delivery. You will find budget sympathy flowers in Braddock here. Our funeral flowers are cheap in price but not in value.